Every girl owns a ton of lipsticks. That being said, not all lipsticks are made the same. 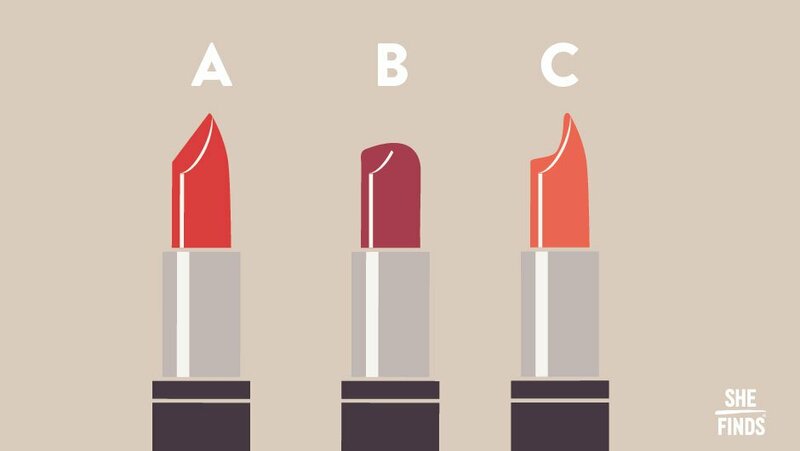 Have you ever noticed the different types of lipstick tip shapes? Turns out, there’s actually a connection between yourself and lipstick tip shapes. Take a look at the image below. 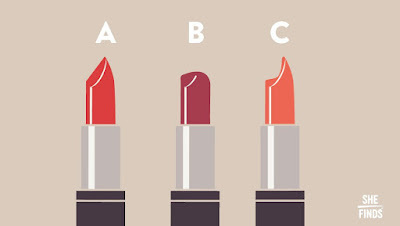 Which one looks like your go-to lipstick, A, B or C? You’re a perfectionist, whether it’s in the grand scheme of life or the tiniest of details. Everything you do has to be done just right, everything in your room has its exact designated location. Most importantly, you treat all your belongings as if they’re the last on Earth, which is why even your most-used lipstick would seem as good as new. You seek balance in your life, literally and figuratively. You probably do yoga at least twice a week. You also always want to make sure everything is done fairly, that both sides are heard, and that everyone has a say in a situation. You’re a natural leader because of these traits because you’re so rational and level-headed. You’re a bit on the wild side and there’s no one else in this world who could possibly be like you. You have such a distinct personality that you always find yourself and your friends saying that given certain situations, that’s sooo you. That’s a great quality to have too because it means you’re one of a kind and irreplaceable!